Can This Car Beat The Porsche Carrera GT in Straight Line ?. @ Ferrari Driver: What kind of car do you drive? A lot of special editions,too. I just bought one in Need for Speed Shift 2. It isn't a road car?! NO! It's not a road car. Read site rules and add cars only if they have laptimes. 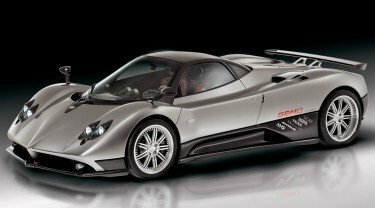 Can someone post the Zonda R please? do you no that i put the zonda r on pagini and its now gone . I would chop off one of my fingers and eat it for this car. I\'d probably agree in taking a Zonda over the ZR1 and GT-R, but there\'s only one Viper. I\'m a broken record, I know. Regardless of the arguments about GTR/ZR1 times and all that other rubbish about cheaper cars that are faster.. you would have to be totally insane to desire one of those cars over this. I would chop off one of my fingers and eat it for this car. Its the modern day lambo countach that we all had posters of when we were kids. FYI todays edition of UK Channel 5s Fifth Gear features a track test of the Zonda R driven by Tiff Needell..... and I think he liked it VERY much..... I\'m sure it will be in YouTube soon after it airs. This all depends on whether you're buying a car for status 'anonymous'. Some fools may buy a car that expensive just to show they can, but a true performance car lover is buying performance. Most on here are talking about the disproportionate cost of a car that performs equaly. The Pagani is a work of art for sure, but for car lovers, so is the Z06. It may be mass produced, but that is only a testiment of spectacular engineering and manufacturing. A hand built, work of art, should beat an assembly line car for $1 million. 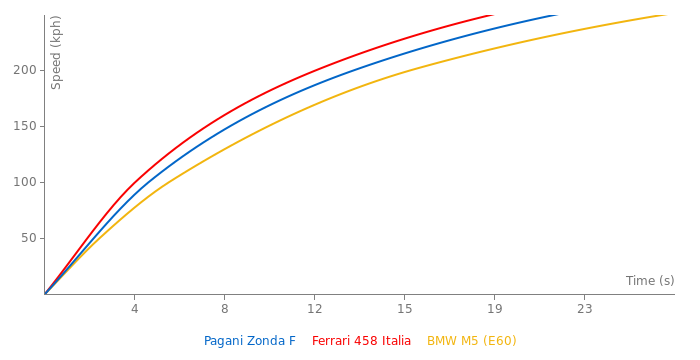 does pagani make 25 zonda f's a year or just 25 in total? i dont see any evidence it was fake, looked pretty legit and if watch his other vids you see his line is always unbelievably perfect. doesnt seem too unreal that he could knock 11 seconds off my barely getting round the track time. still though i dont get how you did a 4;39 are we playing the same game? lol when gt5 comes out well see. in however many years till we get the first release date. ive gone round suzuka a lot but i never make it round the first corner :) you know the car will go flat out but you have to be so precise to do it or else youll get one of the unbelievable drift looking things where the car turns around almost completely then somehow comes back or a lot of grass/walls. the rest of the track isnt much of a problem though. btw are you completely sure you shaved 0.018 seconds off this? Well i wouldnt say amazing:) i dont really keep up with world records or anything (didnt even no they had em), but i have had alot of expierence with the track in and out of the game. have you tryed Suzuka? please tell me you saved the replay thats faster than this guy on youtube holl01! (sets the record for everything and only legit video for sub 4:40 time). im trying right now but i havent gotten within a minute :( way too rusty havent played in months. The GTR bested the Zonda by 7 seconds, and if you call that close, your a retard. Zonda F 453.0s (7:33min) indep.